Following failed negotiations between the Welsh & Scottish governments on one side, and the UK Government on the other, over the impact the Brexit Bill will have on their respective devolution settlements, Scotland and Wales are to introduce emergency laws at the same time. In a statement (pdf), the Welsh Government say the Law Derived from the European Union Bill (aka. 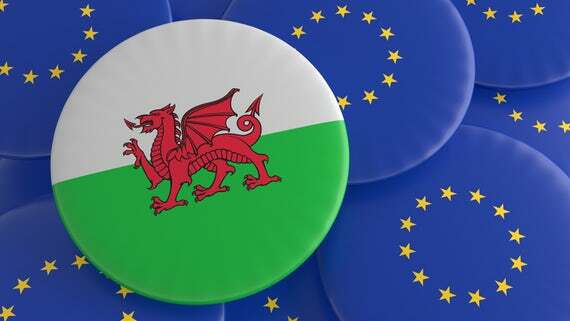 “Continuity Bill”) – which hasn’t been formally tabled yet, but likely to be by next week – will “preserve EU law….covering subjects devolved to Wales following the withdrawal of the UK from the EU”. The Senedd unanimously backed Steffan Lewis AM’s (Plaid, South Wales East) call for a Continuity Bill in January. It also won’t affect Brexit itself, which will continue as is. The argument revolves around where the EU’s (former) powers will go after Brexit. The Welsh Government add that they delayed the introduction of the Bill to give the governments “the best possible chance” to successfully negotiate an agreement – but were unsuccessful. They were also told amendments would be tabled to protect devolution as the Brexit Bill passed through the UK House of Commons, but it never happened. As there’s too little time between now and Brexit Day (29th March 2019) for a Bill to go through the full legislative process, the Welsh Government will ask AMs for this Continuity Bill to be treated as an emergency law – meaning some stages will be sped up or skipped entirely. If all goes to plan and AMs agree, the Continuity Bill could be passed as early as 21st March so it doesn’t fall under the reserved-powers model set to be introduced in Wales from April 1st. Why’s that important, you might ask? In the Llywydd, Elin Jones’s (Plaid, Ceredigion), assessment of whether the Bill falls within the existing powers of the Senedd (pdf), she notes that reserved powers have a measure of certainty about them when it comes to knowing what definitely is or definitely isn’t devolved. However, powers in Wales (until April) are devolved on a line-by-line basis – most of which is directly subject to EU law. Our weaker devolution settlement has, ironically, created a “loophole” that you could argue hands Wales more power than Scotland in this, as the Scottish Parliament’s Presiding Officer has said their Continuity Bill doesn’t fall within Scotland’s devolved powers (presumably because their reserved powers model of devolution clearly states that they can’t do it, which isn’t the case in Wales). As it’s an emergency law, it’ll also hand the Welsh Government significant powers to amend elements of (what will be former) EU law via regulations – which might not go down too well with AMs, even amongst those who support the Bill. The Welsh Government add that their preferred approach is for the UK’s Brexit Bill to be amended accordingly so they can withdraw this Continuity Bill. They’ll continue to work to reach an agreement as it passes through the House of Lords. Another joint meeting between the governments is also scheduled for next week. So you have to ask whether this is a bit of brinkmanship on behalf of Cardiff and Edinburgh? I’ll return to this next week when the full details of the Continuity Bill and its implications become clearer.